In 1972 Arashiyama West troop of Japanese macaques was transplanted to southcentral United States and kept in semi-free ranging conditions. The new environment provided an opportunity to assess aspects of the species' adaptive potential. About 1,500 feeding observations were made monthly over 6.5 months. 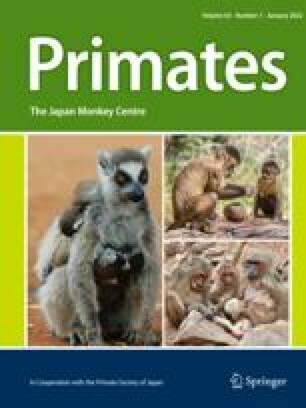 Unlimited provisioned food was available, but monkeys utilized native plants immediately and use increased until it included 50+ % of the diet by weight. Shrubs provided 75% of foods in first month and 32% thereafter. Sorghum comprised 25% in May–July. Soil, arthropods, fungi, bulbs, and roots each comprised less 5%. Between 21 and 37 foods were utilized monthly. Monthly food uses corresponded to availability. Many food plants required unique handling by monkeys. Four general adaptive responses to potential foods are described. Evolution has clearly shaped the Japanese macaque into a highly omnivorous and behaviorally flexible animal.